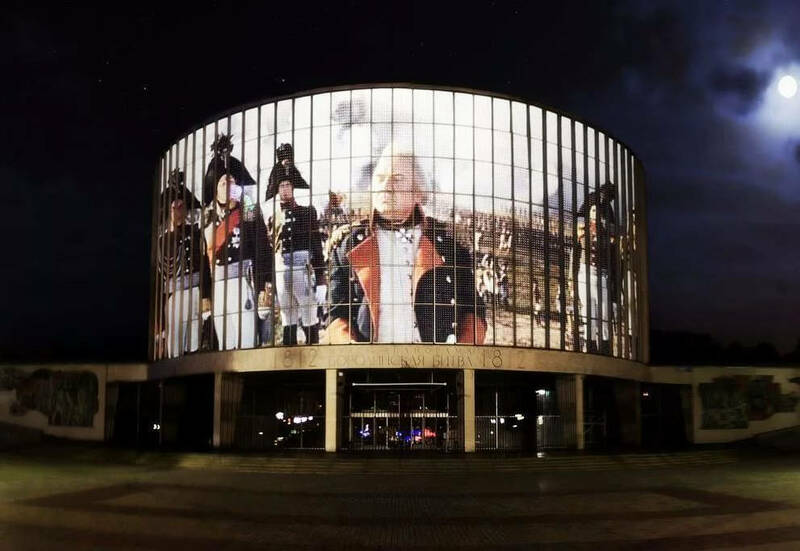 The Battle of Borodino Panorama Museum is dedicated to the major battle fought during the 1812 war between Russia and France. 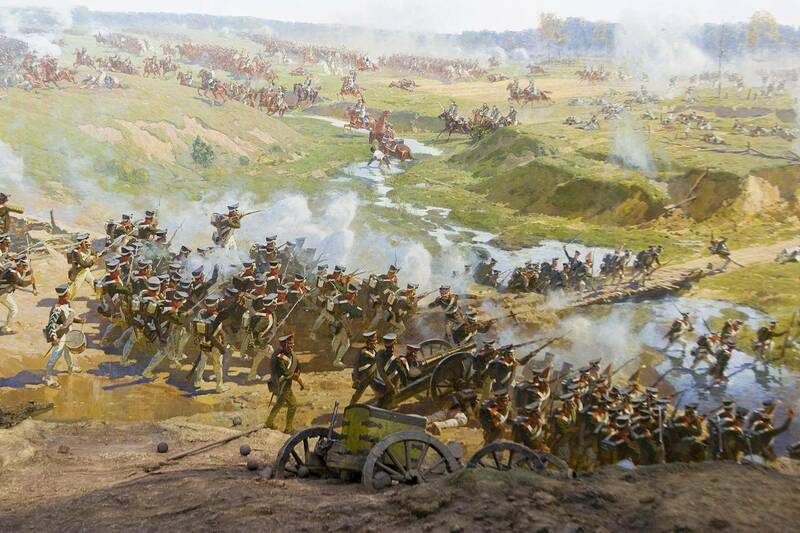 The length of the canvas of the Battle of Borodino Panorama, painted by battle painter Franz Roubaud, is 115 m.
Visitors can examine every single episode of the battle. 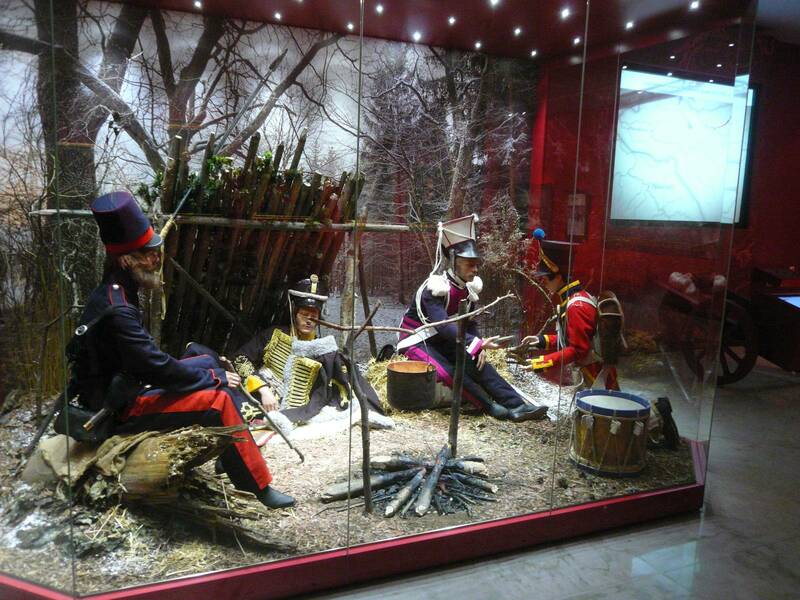 The exhibition displays military equipment and weapons of both armies, decorations, applied art objects, graphic words and paintings inspired by the event. 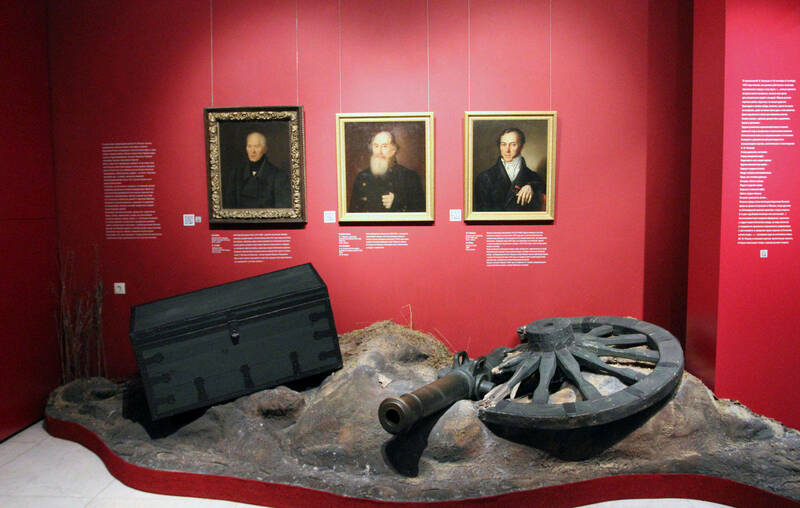 Kutuzov’s Izba, with surviving icons and a stove, had witnessed the life-changing war counsel depicted by Leo Tolstoy in his War and Peace. 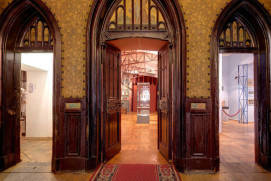 Important information is translated into English; visitors are offered audio guides and guided tours. 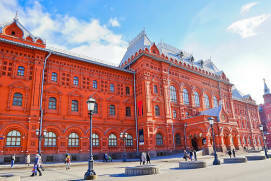 On Kutuzovsky AvenueRussian: Kutuzovskiy prospekt or Кутузовский проспект, there are two large memorials dedicated to two Russian patriotic wars: the Museum of the Great Patriotic War on Poklonnaya HillRussian: Tsentralnyi muzey Velikoy Otechestvennoy voyny na Poklonnoy gore or Центральный музей Великой Отечественной войны на Поклонной горе and The Battle of Borodino Panorama MuseumRussian: muzey-panorama «Borodinskaya bitva» or музей-панорама «Бородинская битва». 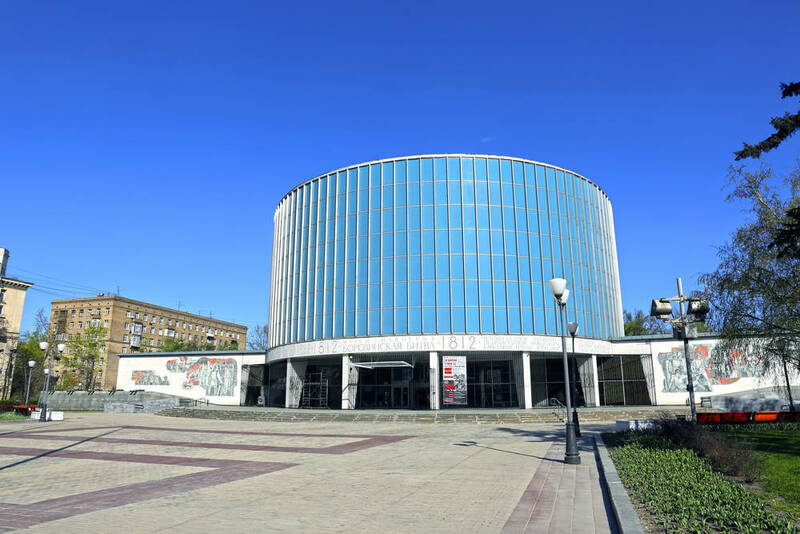 The Battle of Borodino Panorama Museum is one of the attractions in Moscow. 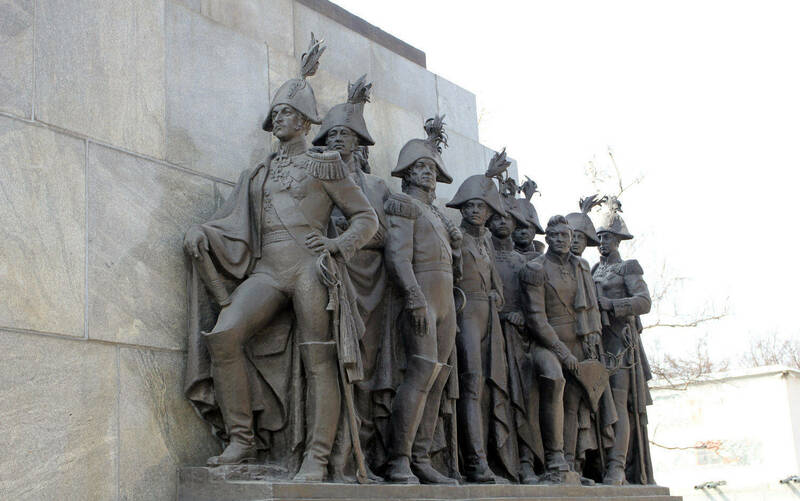 It centered around the major battle fought during the 1812 War between Russia and France, regarded in Russia as a feat accomplished by Russian soldiers and officers. 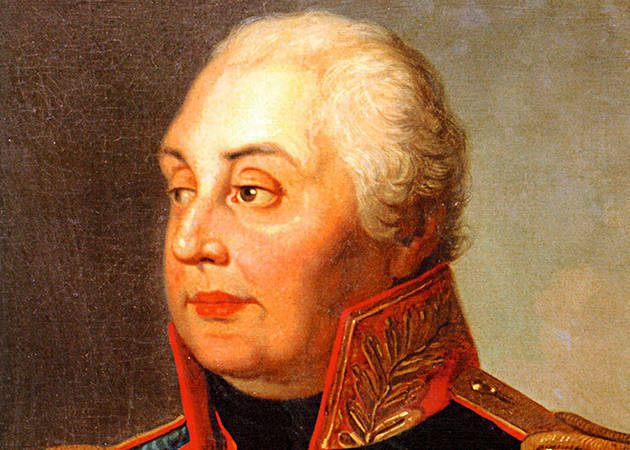 The historic battle between the Russian troops led by Field Marshal Mikhail Kutuzov and the French Emperor Napoleon’s Grand Army began on 7 September, 1812 near the village of BorodinoRussian: Бородино, not far from Moscow. 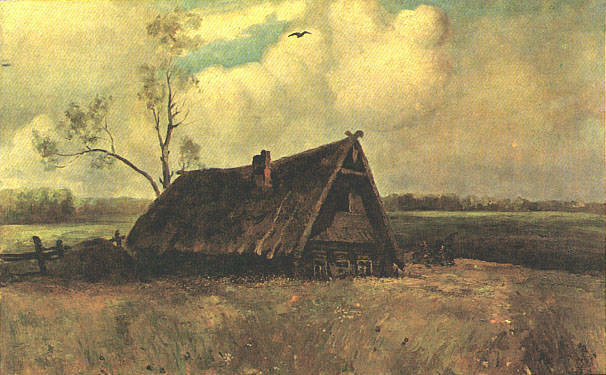 There are still some disputes about the outcome of the battle. 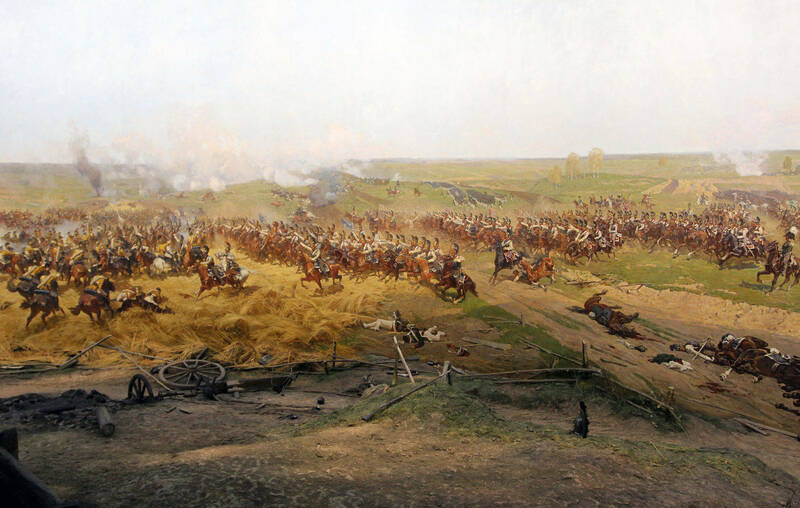 Both sides suffered great casualties and neither achieved a decisive victory. 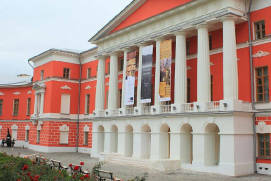 In addition to the panorama itself, the same building houses an exhibition devoted to the Patriotic War of 1812 to mark the bicentenary of the Battle of BorodinoRussian: Borodinskaya bitva or Бородинская битва. 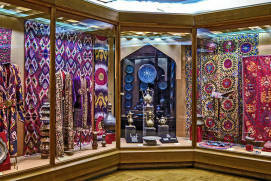 It features weapons and apparel of the Russian and French armies, decorations, works of applied arts, as well as drawings and paintings inspired by those events. 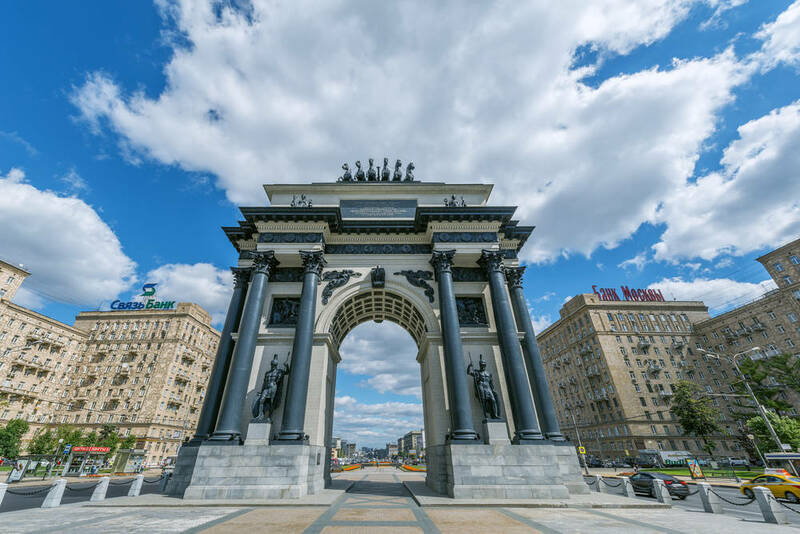 Franz Roubaud created a panorama commissioned by Emperor Nicholas IIthe last Emperor of Russia, ruling from 1894 until his forced abdication in 1917 of Russia to celebrate the centenary of the battle. 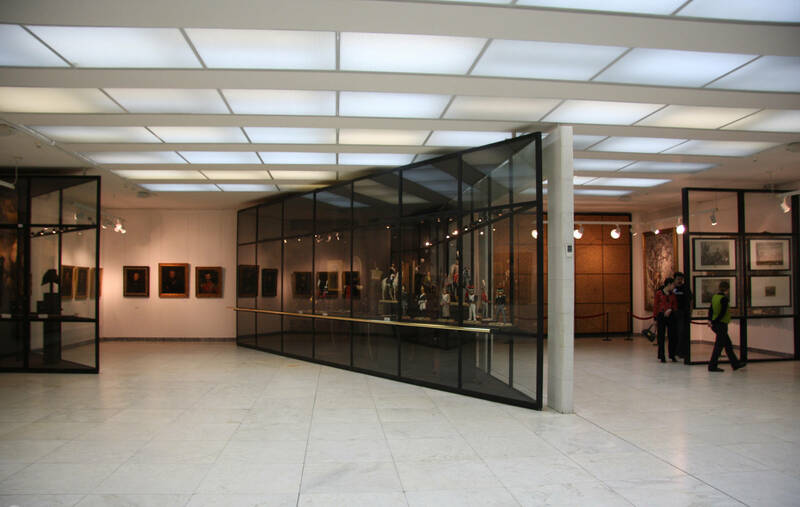 By the time this work was commissioned, Roubaud has already distinguished himself as a war painter. 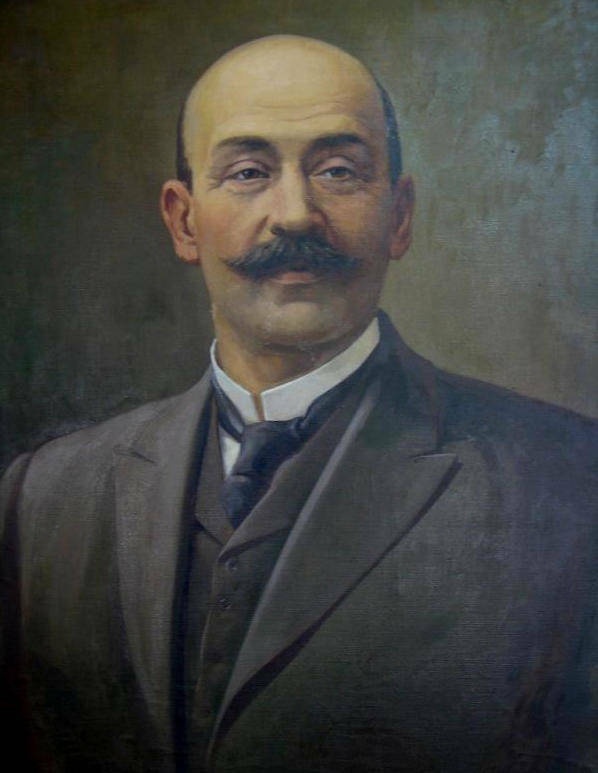 Muralist Ivan Myasoyedov also participated in the project. 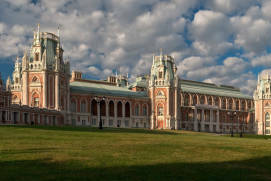 The panorama was initially displayed in a custom-made pavilion on Chistoprudny BoulevardRussian: Chistoprudnyi bulvar or Чистопрудный бульвар before the Bolsheviksmembers of a wing of the Russian Social-Democratic Workers’ Party, which, led by Lenin, seized control of the government in Russia (October 1917) and became the dominant political power dismantled it, placing it in storage in 1918 and pulling down the pavilion along the way. 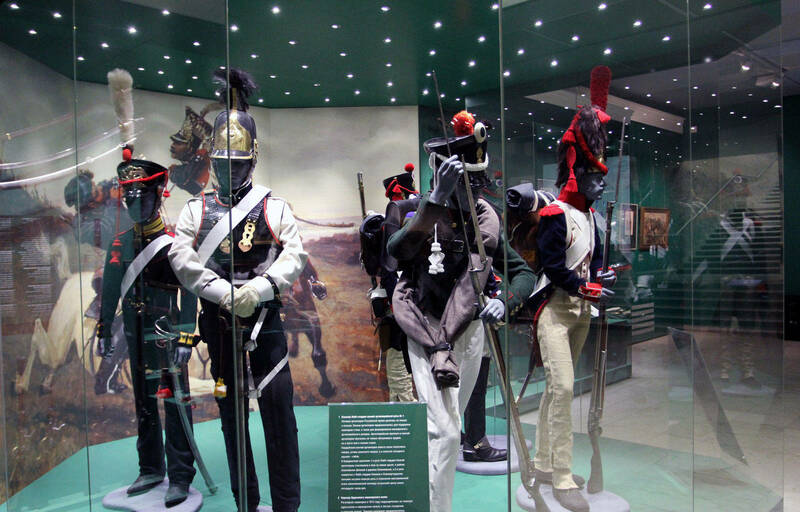 Roubaud’s masterpiece was only restored in 1962 as part of the preparations for the 150th anniversary of the battle. 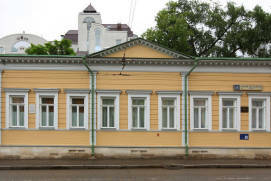 The building we know today was also constructed on Kutuzovsky Avenue for the purposes of displaying it. 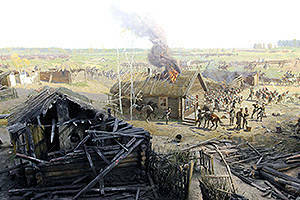 The painting depicts the battlefield as it was at 10 a.m. on the day of the battle. 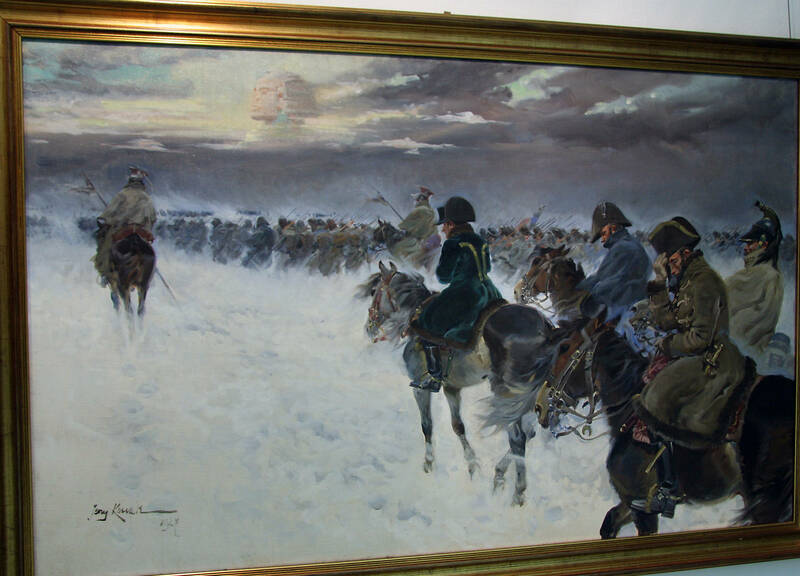 The viewer’s vantage point is in the centre of the Russian army near the village of SemyonovskoyeRussian: Семёновское. 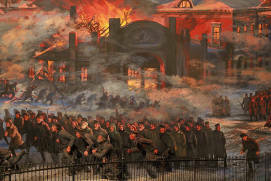 The artist’s idea was to convey the impression that time had frozen so that viewers have the opportunity to examine each episode of the battle in exquisite detail. 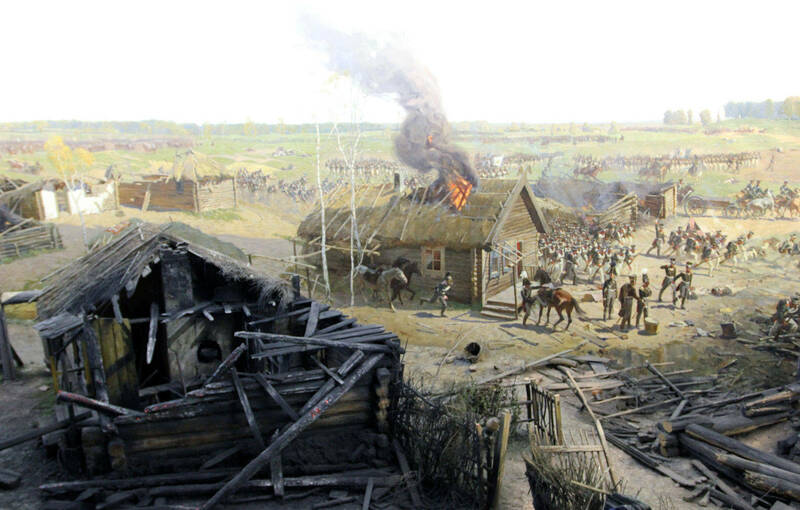 Different installations set up in the foreground represent a burning village, a shattered artillery unit and an abruptly abandoned military camp with a pot still hanging above the fire – these all lend an air of realism to the painting. 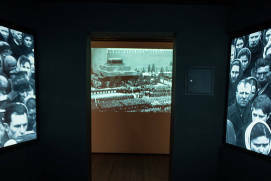 The observation platform is equipped with electronic monitors providing information about the various parts of the panorama. 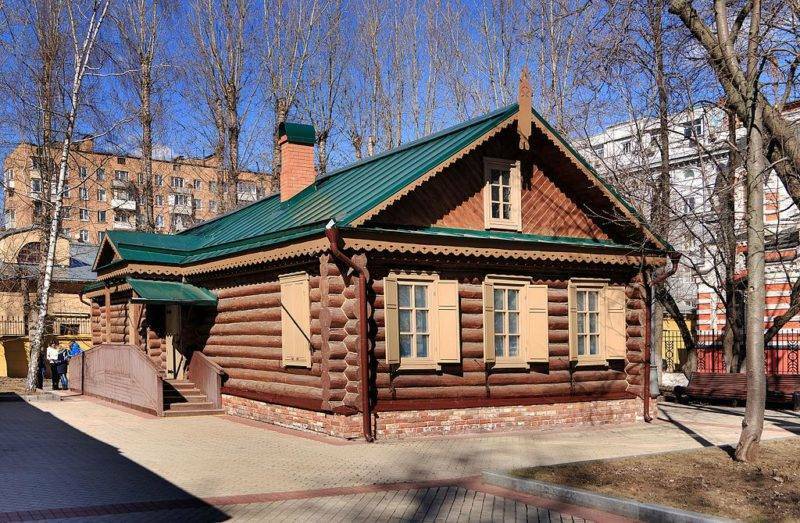 Apart from the panorama and the above-mentioned museum exhibition, the complex includes Kutuzov’s ‘Izba’Russian: Кутузовская изба (a peasant’s hut), the chapel church of St. Michael the ArchangelRussian: khram-chasovnya Arkhangela Mikhaila or храм-часовня Архангела Михаила, and the monument to the heroes of the Patriotic War of 1812Russian: pamyatnik geroyam Otechestvennoy voyny 1812 goda or памятник героям Отечественной войны 1812 года. 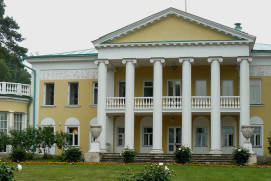 The panorama is located on the site of the former village of FiliRussian: Фили, where Russian headquarters were set up in the aftermath of the Battle of Borodino. 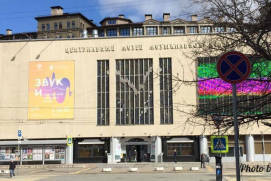 This was where the well-known Fili Council of WarRussian: sovet v Filyakh or совет в Филях took place, as described by Lev Tolstoy in his War and Peace. 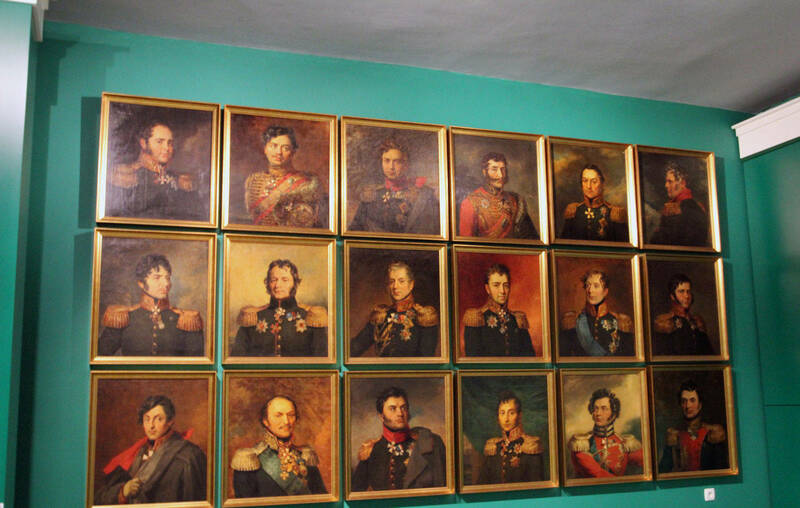 This historical council decided to abandon Moscow to regroup the troops and keep it safe for upcoming battles. 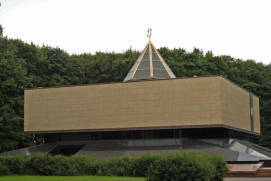 The expression ‘Fili council’ has since been commonly used to describe a serious and intense discussion before making an important decision. 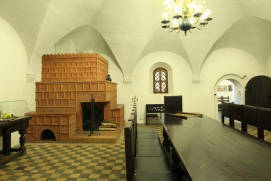 The izba which accommodated the historic military council belonged to a peasant named Mikhail Frolov. 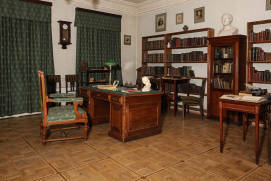 The surviving original objects include icons, a tiled stove and a bench on which Kutuzov himself might have sat. 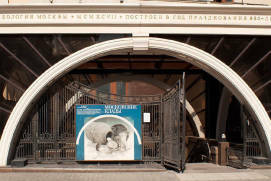 The izba was transformed into a museum in 1886 according to a drawing by A. Savrasov. 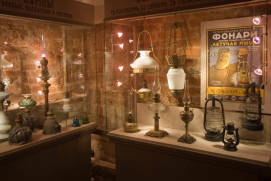 Having stood the test of time and circumstances, the museum underwent extensive renovation and was reopened to visitors in 2010. 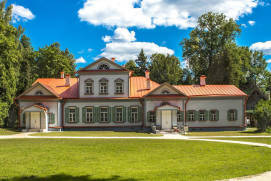 Today, Kutuzov’s Izba houses an exhibition dedicated to Field Marshal Kutuzov and the lifestyle of peasants at the time; a number of interactive activities for children are also on offer. 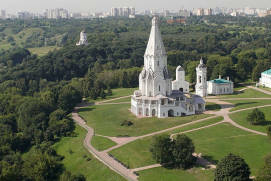 A chapel consecrated to Archangel Michael, the patron saint of the Russian army, was built near the izba in 1912. 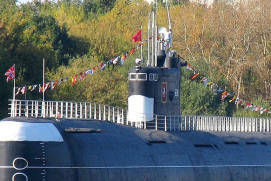 It was founded on 1 October, 1910 to commemorate the name day of Mikhail Kutuzov. 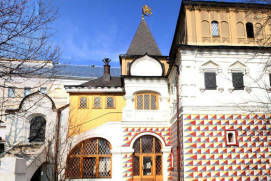 The chapel built by N. Strukov and M. Litvinov is in the Byzantine style and features ornamental décor and mosaics. 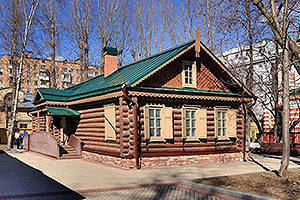 This chapel became Russia’s first museum dedicated to Kutuzov. 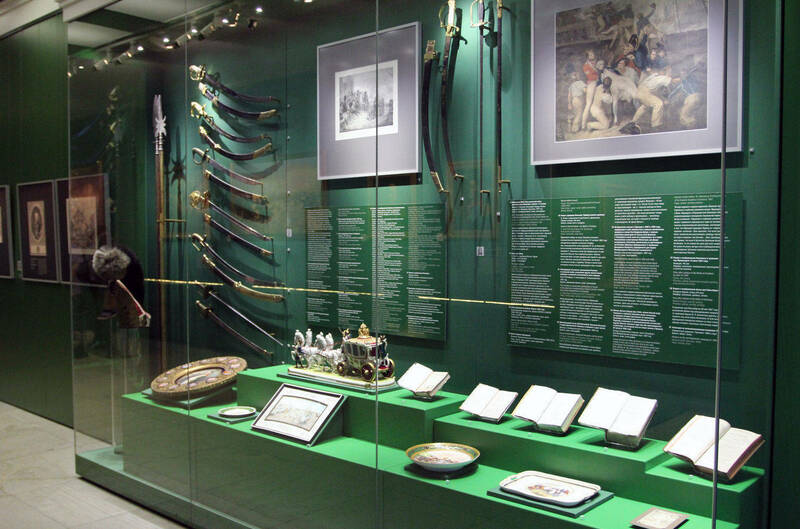 It displayed samples of weapons and uniforms dating back to 1812, Kutuzov’s personal belongings and the highlight of the exhibition, Kutuzov’ carriage, which he used in many battles. 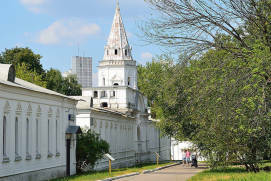 Religious services were held in the chapel until 1930, when Soviet authorities had the chapel shut down and the services stopped. 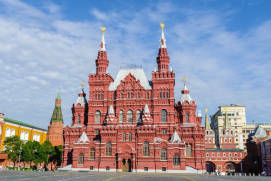 The dome was demolished, and the chapel would have suffered the same fate if it hadn’t been for P. Baranovsky who was on the expert committee set up to assess the historic value of this monument. 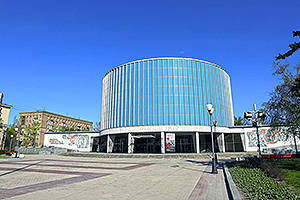 The building survived but served as a workers’ club and, later, as the Ministry of Finance of the USSR. 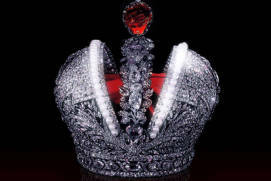 It was subsequently used for private purposes. 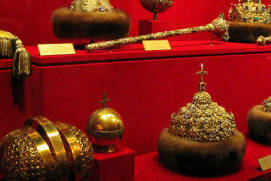 The chapel was only returned to the Moscow Patriarchate in 1994. 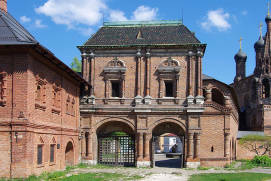 Its new life began when reconstruction works were completed and Patriarch Alexius II consecrated the chapel on 17 November, 2000. 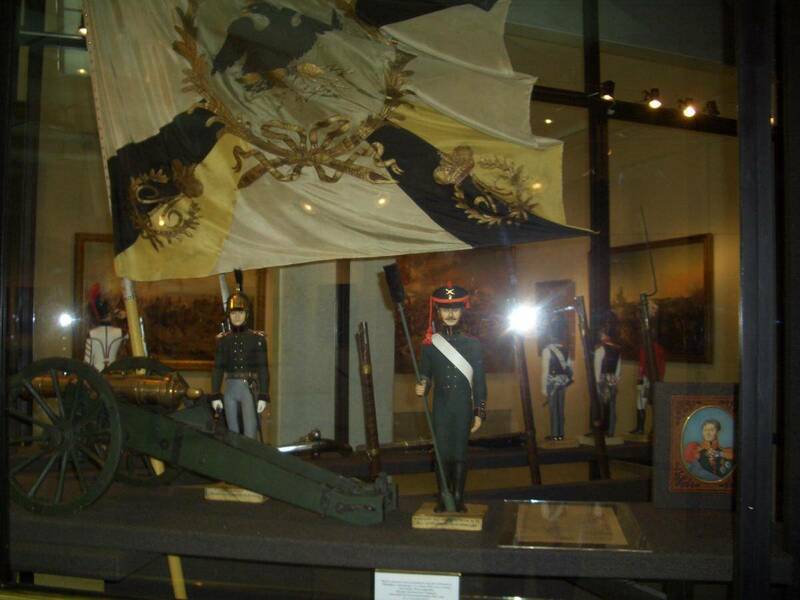 Today, both the chapel and Kutuzov’s Izba are part of the Battle of Borodino Memorial Museum. 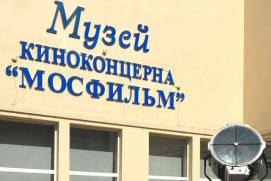 Mo: 10 a.m. - 6 p.m.
Tu: 10 a.m. - 6 p.m.
We: 10 a.m. - 6 p.m.
Th*: 10 a.m. - 6 p.m. 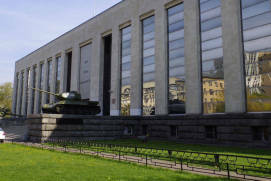 Entry to the Museum ends 45 minutes before its closure. 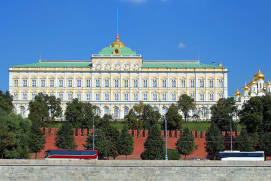 From 50 to 350 rubles depending on visitor's category and programme of visits. 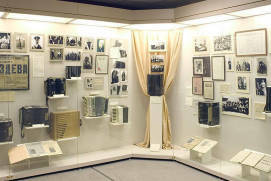 The museum has audio guides and there is an opportunity to download the guide directly on a smartphone. 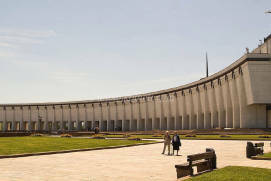 In my opinion, everyone should visit this place. I was personally impressed. 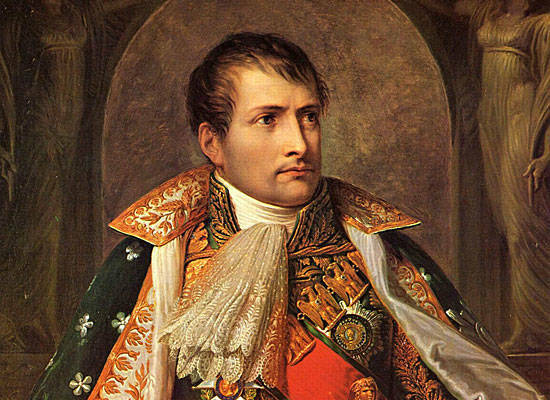 It was an outstanding battle, which played a defining role in the fate of the Russian state and the whole Europe. 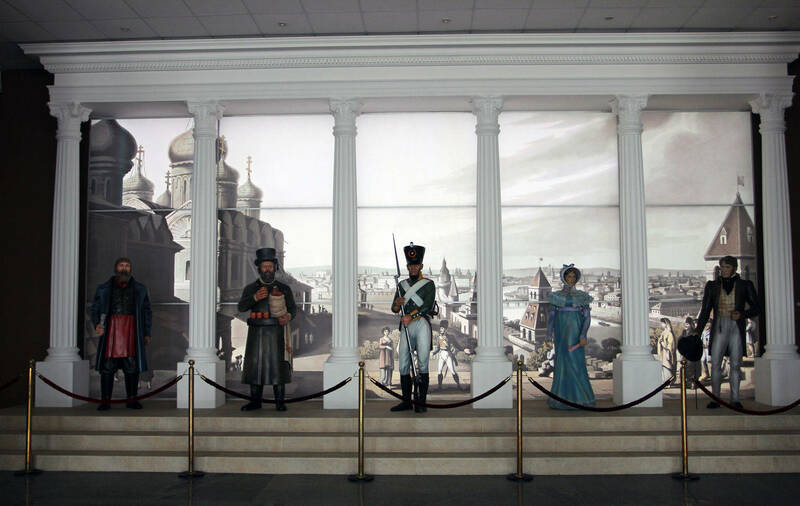 Here you can see a large-scale reenactment of the battle, portraits of main heroes of that time, the ammunition of soldiers and officers of various arms, there is a hall dedicated to the fire in Moscow and much more. 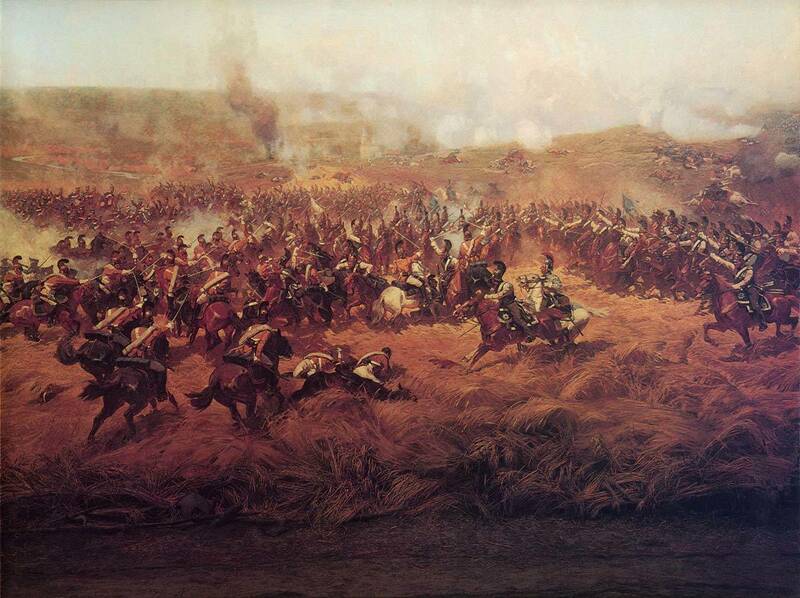 In my childhood, I was in the museum-panorama 'The Battle of Borodino' and the indelible impressions survived in my memory. This winter I took there my grandson and once again plunged into the world that amazed me. 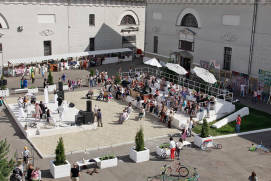 I think parents should take their children there. Also, it will be interesting to themselves. 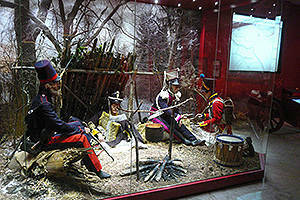 I was more than once in this museum, not so long ago we went there with children. First we wanted to take an audio guide, but then we got on a tour and didn't regret it. A very competent guide plunged us into the atmosphere of those times! Thank you! 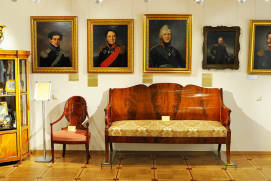 There are many interesting expositions and exhibits.